Decorate your kitchen with this Wood and Glass Pie Sign for a delightfully vintage-inspired look. 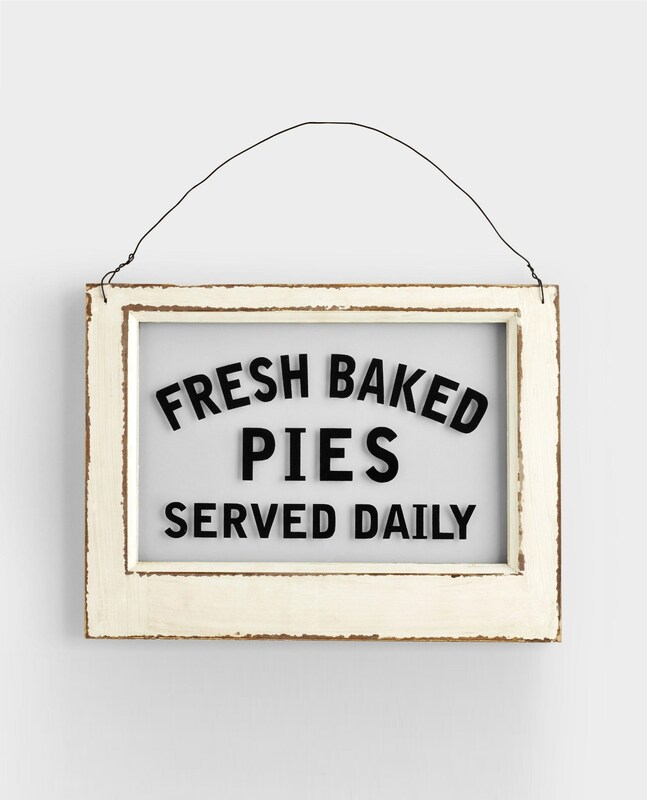 With "Fresh Baked Pies Served Daily" printed directly on the glass surrounded by a distressed white wood frame, this sign reminds us of a 50s-era pie shop windowpane. It even hangs by wire for an especially rustic touch. - 14.75"W x .75"D x 14.62"H; 2.20 lbs.